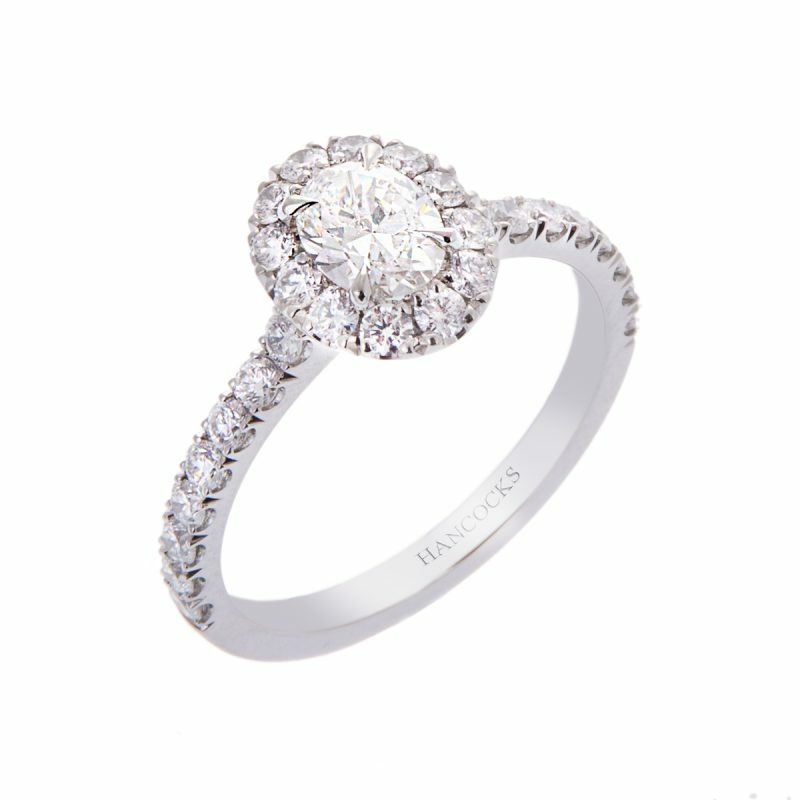 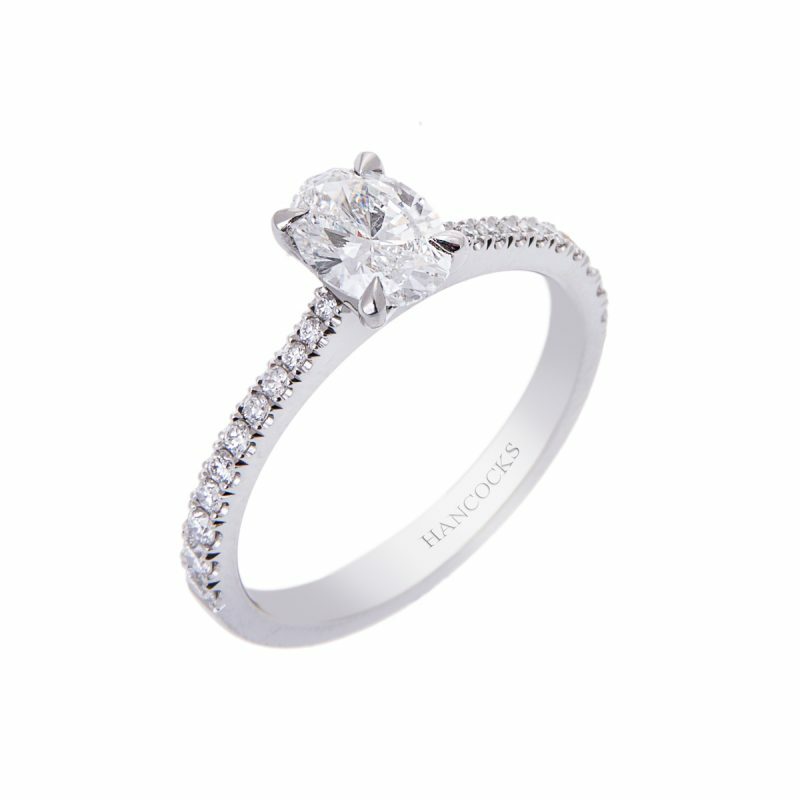 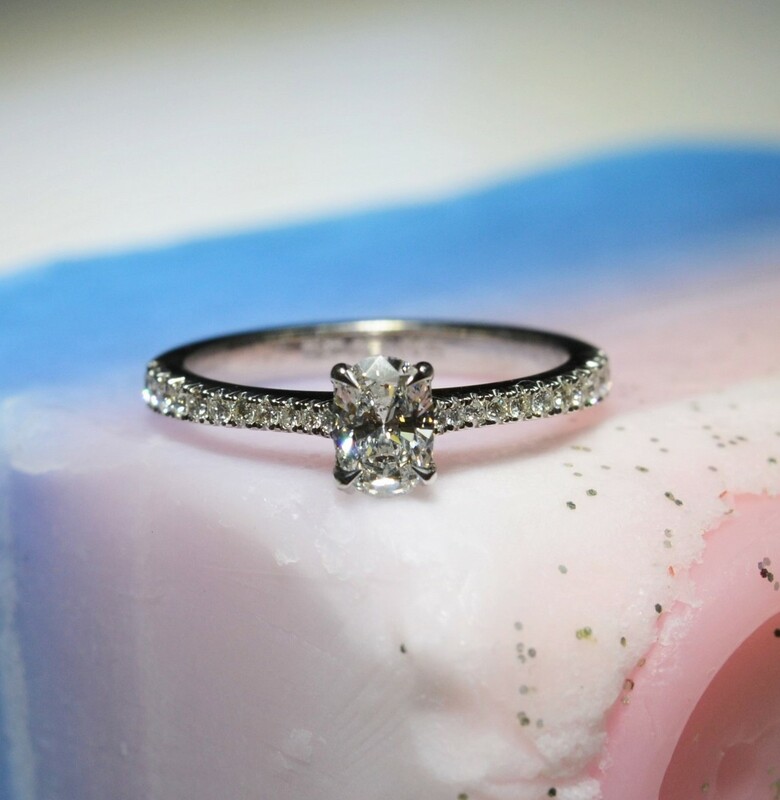 This delightful certificated diamond single-stone ring has been hand crafted in platinum. 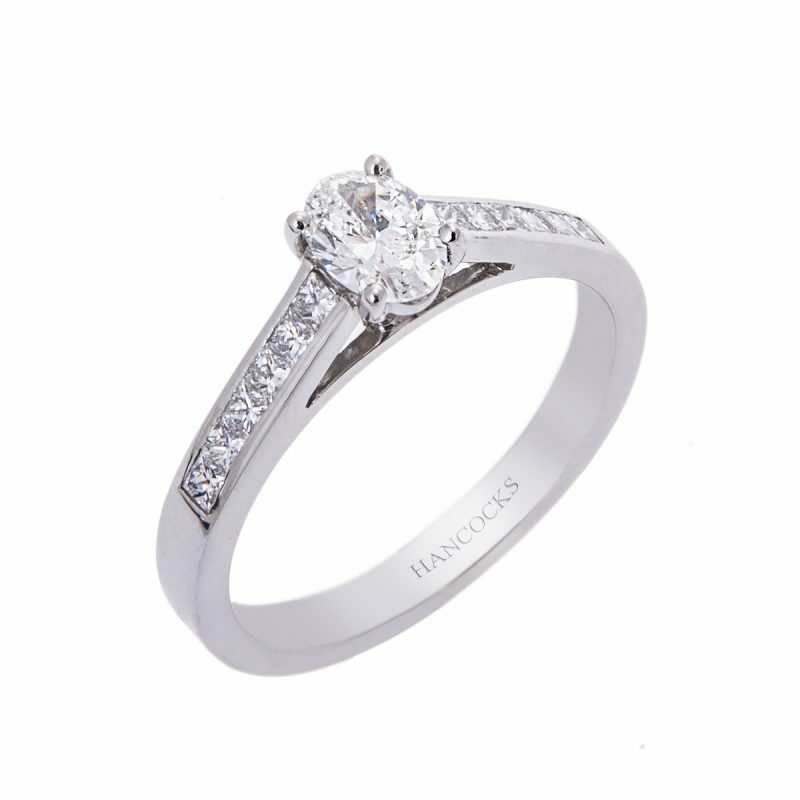 A central 0.42ct oval cut diamond, flanked on either side by two graduated rows of sparkling brilliant cut diamonds totalling 0.22ct, which are held in a stylish castle claw setting. The simplistic beauty of this mount with its sweeping under bezel allow any of Hancocks wedding bands to fit perfectly.